Published on September 20, 2011 by cara.b.b. 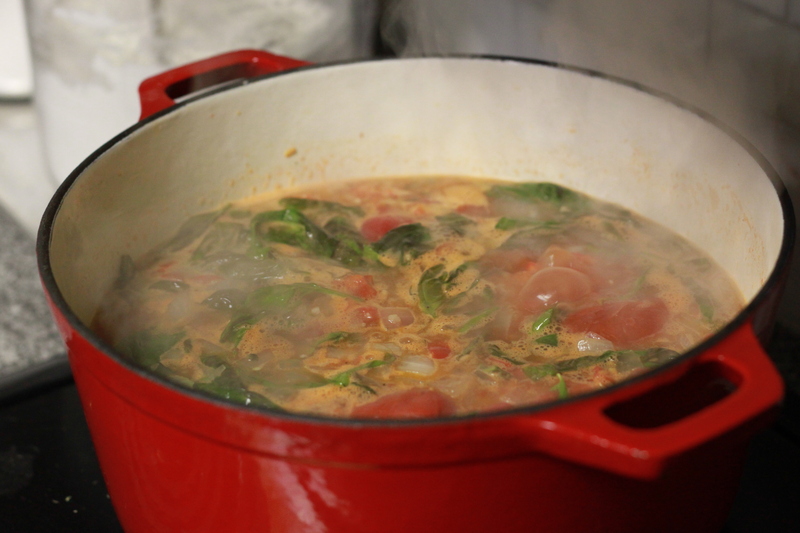 it was a gray and rainy weekend filled with football, and a giant pot of soup seemed a fitting way to cap it off. 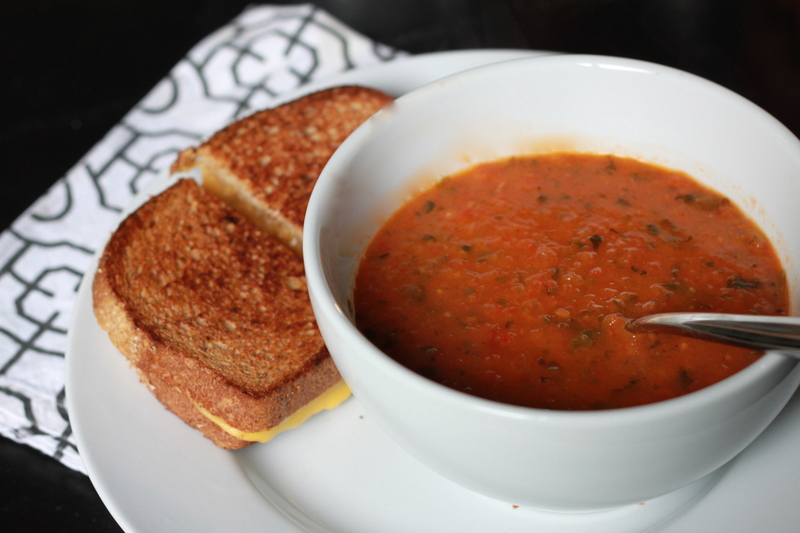 this is a super flavorful soup that’s pretty healthy, though we balanced the healthy bit with a grilled cheese. i used this recipe from ina. it ended up being a little more work than i really planned on, but it was worth it in the end, and we have a ton of leftovers. 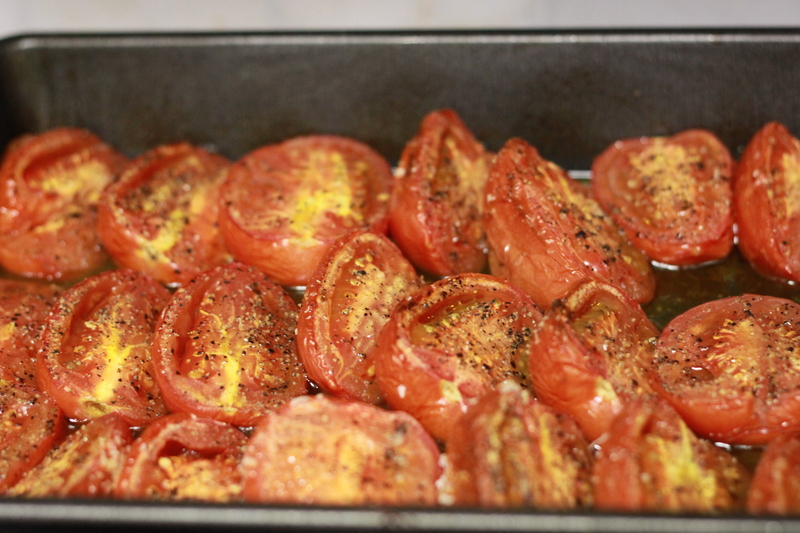 first step is roasting tomatoes and doing all the chopping. 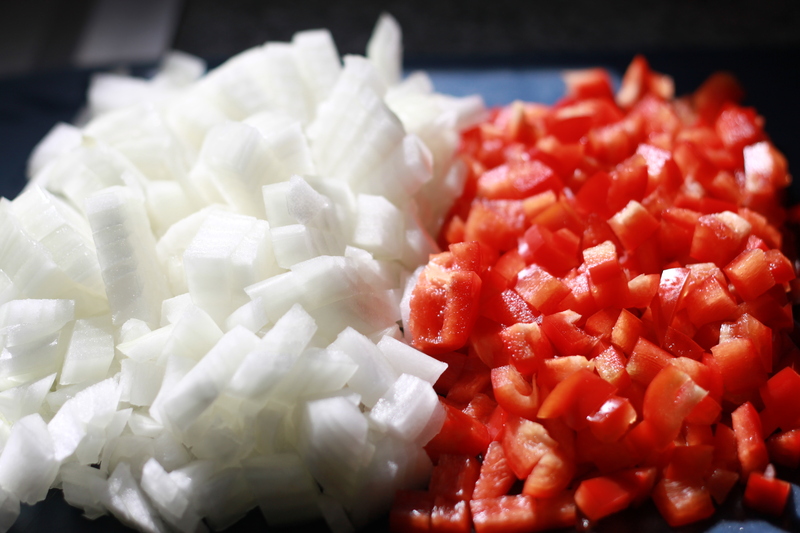 the only modification i made was adding a red pepper in the beginning with the onions. i thought it would add more flavor than it actually did – i may try more next time. send it all through the food processor, warm it back up, and voila!